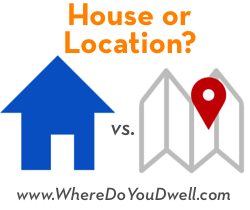 Are You a “House” or a “Location” Person? If you’re thinking about buying a home, what pops up in your mind – excitement about living near your favorite coffee shop or gym, or anticipation of owning a home with awesome features, like space for a large flat-screen TV? Usually people tend to lean toward one or the other — being a “house person” or “location person.” Which are you? The reason we ask this is that it’s rare for any buyer to find their dream home in their dream location within their budget. That’s why you need to figure out what’s more important to YOU and where you’re willing to compromise. Some buyers want a larger house with lots of space for entertaining no matter what and don’t worry as much about the actual location. Others hold true to the real estate creed of “location, location, location” and make the neighborhood and community their priority. As you can see, your answer will affect your daily life more than anything else. It’s time for a little self-analysis. We recommend that you take the time to really understand your wants and needs before looking for a home (condo, townhome, or single-family house). Your honest answers are what will help guide your home search. Keep in mind it could actually be a “family” analysis –your spouse, partner or children should play a part in the decision. 1) What you would like in a location? 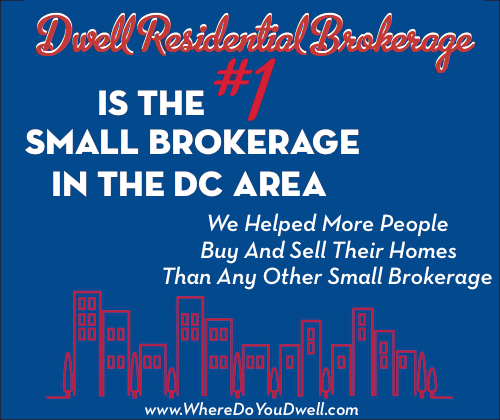 Type of neighborhood or community, the feeling and vibe of it, the amenities, types of homes available, the amount of green space, walkability, metro accessible, schools, the impact on your daily routine, etc. 2) What’s important about your home other than location? Features you dream about or lack now, how much space needed in the next 5 years, lots of yard space, office space, favorite architectural style, pet-friendly, garage, master suite, gourmet kitchen, etc. 3) What is your absolute deal breaker(s) when it comes to a home or location? For example, street parking only, traffic/busy road, one-story home, not enough storage space for toys, long commute time, etc. Look over your lists and see what really stands out and makes you feel that it’s a “must” for you? Is it on the location list or the house list? This item should be something that you’re willing to make a priority in your search and will help dictate if you’re a house or location person. Remember, it also needs to be realistic. This entire analysis should also help you know what factors you’re willing to compromise or do without in a home. If you’ve determined that “location” is your answer, then you know that “where you live” affects everything about your lifestyle (and you want that lifestyle no matter what!). You also have the attitude that you can’t change the location but you can always “change” the home to make it better suit you. This is an important factor when you consider resale and living in a neighborhood that will retain its value. Buy a smaller home, a fixer-upper, or one that lacks some features you’d like but don’t really need. Consider another home type. If single-family homes are too expensive, look at townhomes in the area. They can have similar inside space but are less costly. What about a condo unit? Ask your agent about other locations that have the same neighborhood “feel” you’re seeking but have less expensive homes. This can be an option when proximity to a job or school is not a factor. If proximity is a factor, consider looking at homes on the peripheral of the “perfect” neighborhood if homes are less expensive or have more of the features you would like in a home. Even though you may not be living right in the middle of this neighborhood, you may still be able to enjoy many of its nearby amenities. If you’ve determine that “house” is your answer, you know that a home’s features are the key selling point for you. Spending time at home, entertaining, and just enjoying your space will make you the most happy. Or, maybe you’re not willing or able to renovate a home to make it more you. You may desire a move-in ready home and are willing to be flexible with its location depending on your budget. Once you know the home features you must have, then you’ll have an idea where you can buy within your budget. So your location search becomes flexible until you find the “right” home for you. We usually recommend starting with location and then home and budget, but the fact you are a “home person” doesn’t mean you don’t care where you live!! It means you’re more open to looking at different locations than eliminating features. Keep in mind that buying the biggest home on the block or buying the perfect home in a not-so-great neighborhood can be risky when it comes to retaining value and resale. You still want to make an educated decision when determining a location. With a little give and take you can find a home you’ll love in a location that can work for you and your family. If you have any questions about being a house or location person, please contact us. We can help you ask the right questions and get you started on your home search.